As parents picked up their kids from the Betty J. Taylor Early Learning Academy (TELA) on the afternoon of Friday March 22, they were welcomed by the TELA administration staff as well as local programs and businesses who were stationed throughout the lobby and the conference room of the early learning academy. 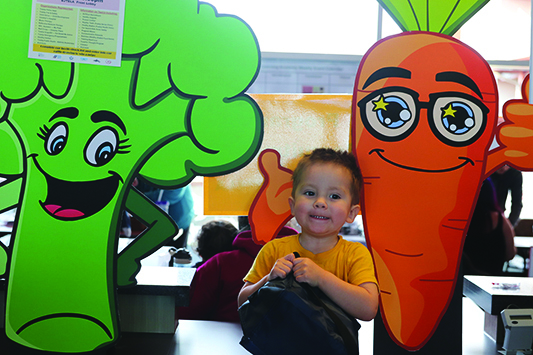 Twenty-six informational booths provided useful tips, ranging from nutrition to safety, in an effort to promote better overall health and wellness within the community. Parents hurried to retrieve their kids from their classrooms so they could return and participate in TELA’s seventh annual Mini Health Fair. A popular event that has continued to grow over the years, the mini health fair is a fun experience for TELA students. 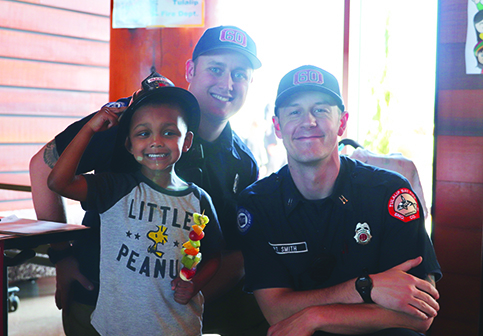 Each booth offers hands-on interaction from the likes of the Tulalip Police and Tulalip Bay Fire departments, as well as plenty of prizes like books, toys and even animal washcloths that promote the practice of healthy habits such as reading and good hygiene. Perhaps the biggest highlight for the kids is sampling all the snacks. AnneCherise Jensen and the SNAP-Ed team created fruit kabobs with orange slices, pineapple, grapes, kiwi and strawberries, showing the families a new, fast and easy snack that is both delicious and nutritious. The fruit kabobs were such a smash that the SNAP-Ed booth had a line nearly the entire duration of the health fair. The TELA kitchen crew also handed out healthy snacks to the students including fruit and veggie cups as well as smoothies. Upon checking into the mini health fair, the families received a passport. 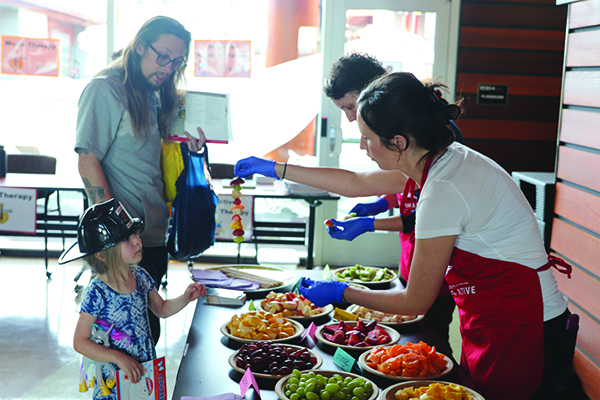 As they visited each booth, the vendors signed their passports, indicating that the families learned either a new health tip or were provided with new resources from programs such as WIC, Healthy Homes and the Snohomish County Music Project. 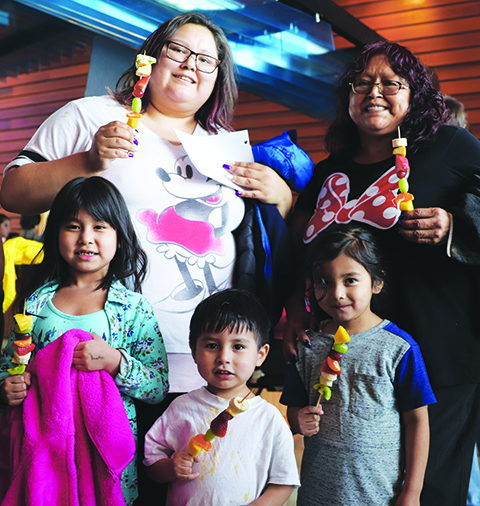 Once their passports were filled out, the families turned them in for a chance to win a variety of prizes including gift baskets, blankets and an inflatable swimming pool – just in time for the upcoming summer season. By creating a fun learning experience catered to our future leaders, the academy puts an exciting and entertaining twist on educating the community about the many benefits and the importance of good physical, mental and spiritual health. 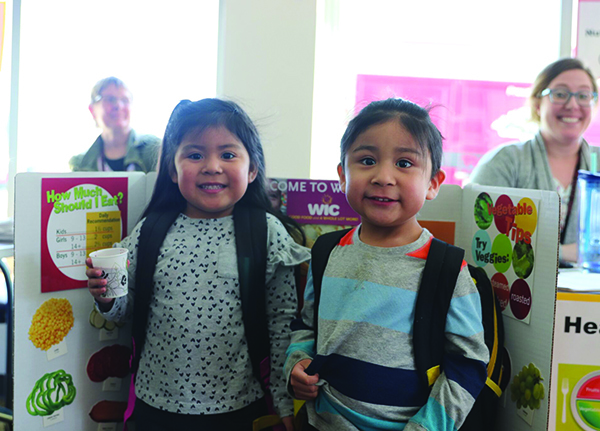 This entry was posted in Education, Health, News, Tulalip News and tagged Betty J. Taylor Early Learning Academy, Health Fair, Tulalip by Kim Kalliber. Bookmark the permalink.